Officiële naam: de Republiek Somalië. Het huidige Somalië bestaat uit de samenvoeging van het vroegere Brits Somaliland (tot 1960) in het noordwesten en het vroegere Italiaans Somaliland (Italiaans Oost Afrika [1936-1950]). Het vroegere Brits-Somaliland heeft zich in 1991 uitgeroepen tot de -niet erkende- onafhankelijke republiek Somaliland. De hoofdstad van Somaliland is Hargeysa (Hargeisa). Visum: ja; aanvragen bij: Somalische ambassade in Djibouti of Nairobi, Kenia: Embassy of the Somali Republic, Jabavu Road, Hurlingham, P.O.Box 623-00606 Nairobi, Kenya, Office +254 20 273 6618, Fax +254 20 273 6619 (andere ambassades/posten onbetrouwbaar). Visum voor Puntland bij: aankomst op luchthaven van Boosaaso. Opmerking: de Republiek Somalië bestaat feitelijk niet meer. Het vroegere Brits Somaliland, in het noordwesten van wat voorheen Somalië was, heeft zichzelf uitgeroepen tot de onafhankelijke Republiek Somaliland met hoofdstad Hargeysa. Het noordoostelijke gebied heeft zichzelf in 1998 uitgeroepen tot het Autonome Gebied Puntland met hoofdstad Boosaaso. Deze twee staten zijn door geen enkel ander land erkend; vooral Somaliland heeft een redelijk goed functionerende regering en is relatief stabiel, waarbij opvalt dat Somaliland inmiddels als een min of meer veilig gebied kan worden beschouwd. Het zuidoostelijke deel van Somalië rond de hoofdstad Mogadishu is uiteengevallen in een aantal elkaar bestrijdende clangebieden. Mogadishu is grotendeels verwoest door het oorlogsgeweld. Somalië en Puntland worden als onbereisbaar beschouwd. Er zijn geen reisgidsen voor Somalië en Puntland in de handel. Voor Somaliland bestaat wel een gids. There is a reason no other publisher produces a guide to Somaliland: it is not an easy book to produce. The research is extremely challenging, the production is expensive and, because Somaliland is such a niche travel destination, the sales potential is very limited. Unfortunately, the first edition of this book did not recoup its costs. We were left with a difficult decision: increase the retail price to make a second edition possible or admit defeat and allow the guide to go out of print. We don’t like to admit defeat. This second edition is significantly more expensive than the first edition, but we sincerely hope you’ll understand why that is the case, and feel that the revised price still represents excellent value for such vital and unique information. The pioneering first edition of this guidebook was the first dedicated entirely to Somaliland, and this second edition, fully updated and with a foreword by Simon Reeve, continues Bradt's groundbreaking tradition of publishing highly specialist guides to newly emerging destinations. Significantly, this new edition also covers Addis Ababa and eastern Ethiopia - the main gateway into Somaliland. Also included is a detailed historical and archaeological background to a region whose wealth of rock art, ancient burial sites, ruined cities and historical ports stretches back 5,000 years and has links with ancient Egypt and Axum as well as the more recent Ottoman and British empires. Comprehensive birdwatching and wildlife sections include details of where to look for of the region's endemic and near-endemic birds and mammals, while the guide also contains the only proper maps available for the capital Hargeisa and other large towns such as Burao, Berbera and Borama, compiled from scratch using GPS. Somaliland ranks among the world's most obscure and uncharted travel destinations. 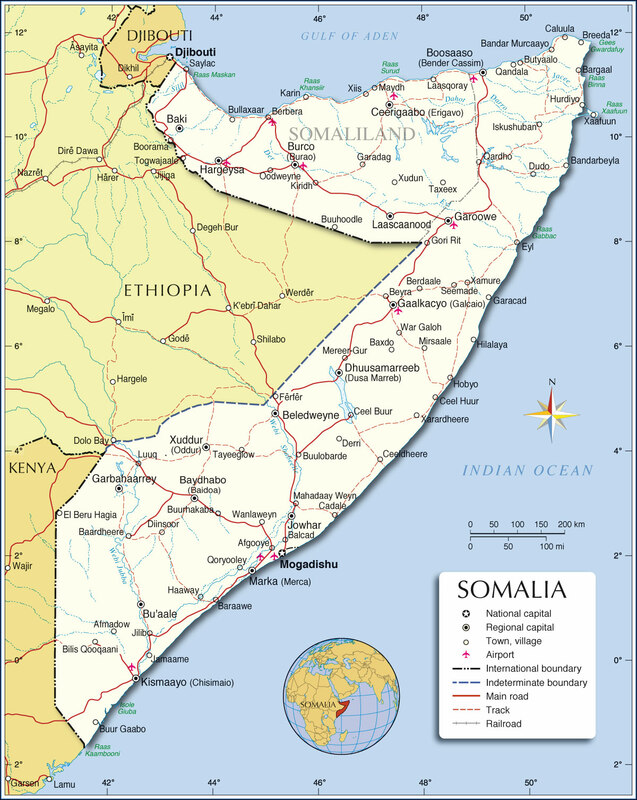 It comprises the former colony of British Somaliland, which merged with its Italian namesake to form the Somali Republic upon attaining independence in 1960, but unilaterally seceded from the rest of war-torn Somalia in 1991. Now a peaceful and fully functional self-governing democracy, Somaliland still awaits official recognition by the UN AU and most other such organisations more than quarter of a century later. Yet despite its obscurity, this ancient and largely arid land has much to offer the truly intrepid traveller, and the low-key, low-rise capital Hargeisa Is easily reached by air or overland from neighbouring Ethiopia. With this unique guide, discover Las Geel, the most alluring rock art site on the Horn of Africa; the charmingly decayed Ottoman port of Berbera, which provides access to some splendid beaches and offshore reefs; the spectacular Daallo Escarpment, swathed in fragrant evergreen forests that support several endemic bird species; and the abandoned city of Maduna, the most impressive of several mediaeval Islamic ruins dotted around the arid interior. Travelling around Ethiopia and Djibouti is a life-altering experience. Together, these countries offer a heady mix of otherworldly landscapes, captivating cultures, historical wonders and sensational outdoor activities. Inspirational photos Expert recommendations. 100% researched and updated. Clear, easy-to-use maps and at-a-glance practical info. Coverage Includes: Planning chapters, Addis Ababa, Northern Ethiopia, Southern Ethiopia, Eastern Ethiopia, Western Ethiopia, Djibouti. Understand and Survival chapters. Lonely Planet Ethiopia & Djibouti travel guide is your passport to the most relevant, up-to-date advice on what to see and skip, and what hidden discoveries await you. Explore underground churches in Lalibela, spot rare and beautiful animals in the Bale Mountains, or get to know Ethiopian cuisine in Addis Ababa; all with your trusted travel companion. Get to the heart of Ethiopia & Djibouti and begin your journey now! Special sections on Ethiopia's unique bird life and Eritrea's diverse peoples. Extensive restaurant and hotel listings. Language chapter covering Amharic and Tigrinya Stay - vital information on health, scams and no-go areas. Contains 32 maps, including a full-colour regional map. Description of history and government, economy, people, geography and cultural life. The book includes comprehensive text, beautifull full-color photos and interesting detailed sidebars. Birds of Somalia's essence is to provide an atlas of 654 maps showing the distribution of all the species known from the country; each species account gives where relevant a bird's preferred habitat, its relative abundance, and details of migration, breeding season and clutch size. Much of the ornithological content of the book is based on personal experience. About 70% of the observations on the maps were provided by the authors and they claim to have seen all but one of the 654 birds on the Somali list. Besides adding over 50 first time records to it, they were also responsible for finding and adding to science one new species and four new subspecies of birds in Somalia. The Horn of Africa has the highest endemism of any region in Africa, and around 70 species are found nowhere else in the world. Many of these are confined to the isolated highlands of Ethiopia and Eritrea, but a large number of larks specialise in the arid parts of Somalia and adjoining eastern Ethiopia, whilst the island of Socotra has its own suite of endemic species. The region is also an important migration route and wintering site for many Palearctic birds. This is the first field guide to the birds of this fascinating region, and a companion to Birds of East Africa by two of the same authors. Over 200 magnificent plates by John Gale and Brian Small illustrate every species that has ever occurred in the five countries covered by the guide, and the succinct text covers the key identification criteria. Special attention is paid to the voices of the species, and over 1000 up-to-date colour distribution maps are included. Dit boek bevat het opmerkelijke verhaal van de jeugd van Waris Dirie, de schoonheid van Somalië, haar vlucht naar het Westen, de glamour van de modellenwereld en haar uiteindelijke mssie als woordvoerster van de Verenigde Natien. Als nomadendochter werd zij in de Somalische woesten op traditionele wijze besneden, een gebruik waartegen zij tegenwoordig als speciaal VN-ambassadeur fel ten strijde trekt. Na twintig jaar te zijn weggeweest uit zijn vaderland keert Jeebleh terug naar Somalië. Hij wil een graf bouwen voor zijn inmiddels overleden moeder. Ook helpt hij zijn jeugdvriend zoeken naar diens vermiste dochter Raasta en haar vriendinnetje Makka. Hij komt aan in een land in oorlog en raakt binnen de kortste keren in levensbedreigende situaties verzeild. Mogadishu is zijn thuis niet meer en de omgang met mensen verschilt erg van de sociale omgang in New York waar hij intussen aan gewend is. De realisatie van zijn projecten heeft dan ook meer om het lijf dan hij aanvankelijk dacht. Colloquial Somali is specially written by an experienced teacher for self-study or class use, the course offers you a step-by-step approach to written and spoken Somali. No prior knowledge of the language is required. * interactive - lots of exercises for regular practice. * clear - concise grammar notes. * practical - useful vocabulary and pronunciation guide. * complete - including answer key and special reference section. Cassettes accompany the course to help you with listening and pronunciation skills. By the end of this rewarding course you will be able to communicate confidently and effectively in a broad range of situations. Somalia, the Horn of Africa nation, is finally recovering from recent wars and famine. Written by a native Somali, Culture and Customs of Somalia gives students and interested readers an in-depth look at the land and people, past and present. It is the only accessible, comprehensive, and up-to-date general reference on this country. This Muslim country has strong pastoral roots and is known as a land of poets with a long oral cultural tradition. Some highlights found herein include discussion of handcrafts and artisanry, distinctive architecture and nomad housing, camel culture, intriguing food and eating customs, rites of passage, leisure and economic pursuits, education, and the Somali musical genres. A chronology, glossary, and numerous photos enhance the text. Actueel boek over Somalische piraterij: De wereld beschouwt Somalische piraten als opportunistische, lokale bandieten, maar Jay Bahadur, de enige westerse journalist die erin slaagde diep in deze wereld door te dringen, laat zien hoe het er werkelijk aan toegaat. In Piratenkust vertelt Bahadur over het leven in Puntland, een regio in Noordoost-Somalië, en doet hij verslag van de levens van de zeerovers die schuilgaan achter de aanvallen. Waar geven ze hun geld aan uit? Hoe gaan ze te werk? Hoe denkt een piraat? Bahadur sprak in de afgelegen havens van Somalië met een aantal sleutelfiguren uit de piraterij. Maar hij zocht ook contact met hun bestrijders, en met enkele gijzelaars die maanden op hun schip moesten doorbrengen, in afwachting van nieuws over hun losgeld. This volume offers a comprehensive overview of scholarship on Somalia and Somaliland, one that transcends the usual boundaries and presents readers with a timely, incisive and compelling introduction to Somali culture, history and politics. Topics covered include: history, including the impact of the two colonial powers (Britain and Italy); the Somali poetic heritage and its relation to politics; the variations within Somali culture between northern/pastoral and southern/agro-pastoral populations; the question of the significance of clanship, including its relation to livestock trading networks, and the Somali 'total genealogy' and its origin; the political future since the breakdown of the centralised state; and, the role of the Somali Diaspora. There are chapters on the 'spirit possession cults', and on the Somali language, names and kinship terms. An introduction describes I.M. Lewis' career and discusses the legacy of over fifty years of his scholarship, assessing its impact on Somali society's view of itself and that of the wider academic and policy communities. The Horn of Africa has long been in turmoil, but it is a fascinating place, regardless. This new edition is as up-to-date as our researchers can make it, given that the country hasn't had an official government for about fifteen years. The map also provides reasonable coverage for tiny Djibouti. The eastern portion of the Horn, formerly known as British Somaliland, calls itself Somaliland and has effectively governed itself in a sensible fashion for the past decade - but no country recognizes its existence; printed on paper, double-sided. Roads by classification, boundaries, lava, sand dunes, points of interests, accommodation, airports, hospitals, schools, national parks, rivers, caves, oasis, lighthouses, missions/churches, museums, and other information.